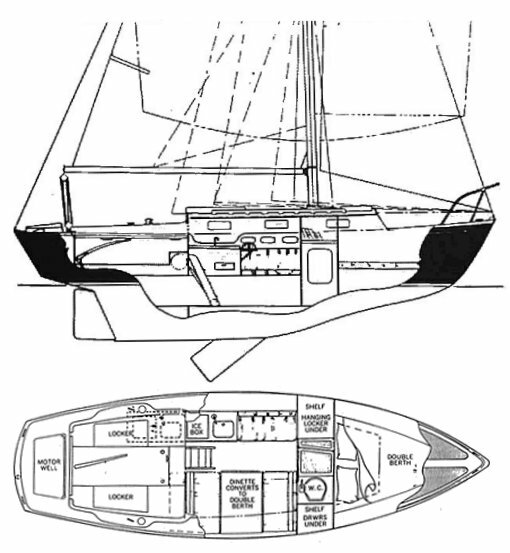 One of a number of versions of the S&S designed DOLPHIN 24. Pacific Dolphin Inc. was located in Anaheim CA, USA. It is said they acquired their molds from Yankee Yachts when the latter company went out of business. For more information see DOLPHIN 24. Thanks to 'sailinmike' (owner of PACIFIC DOLPHIN #300) for providing updated information on this yacht.